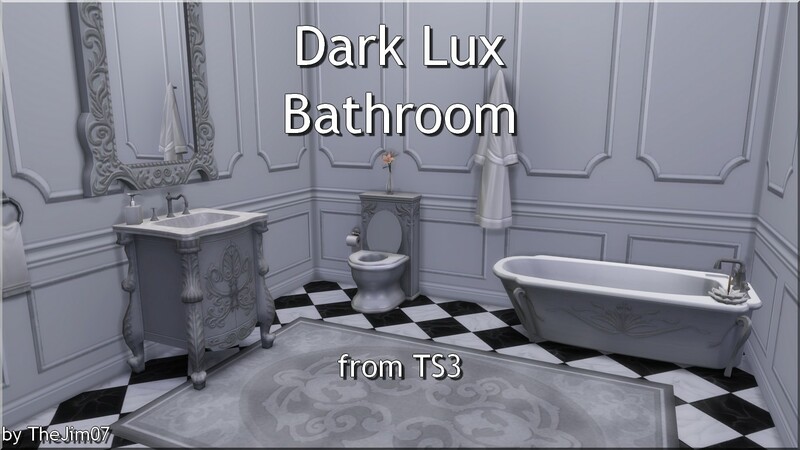 I converted the bathroom from the TS3 Dark Lux set. 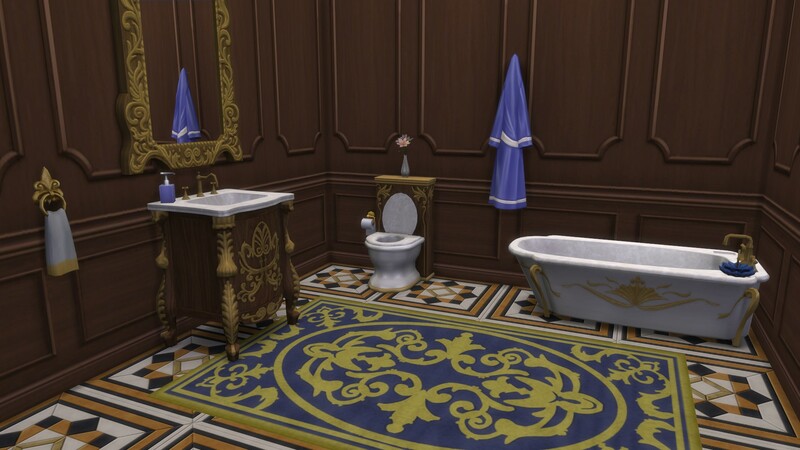 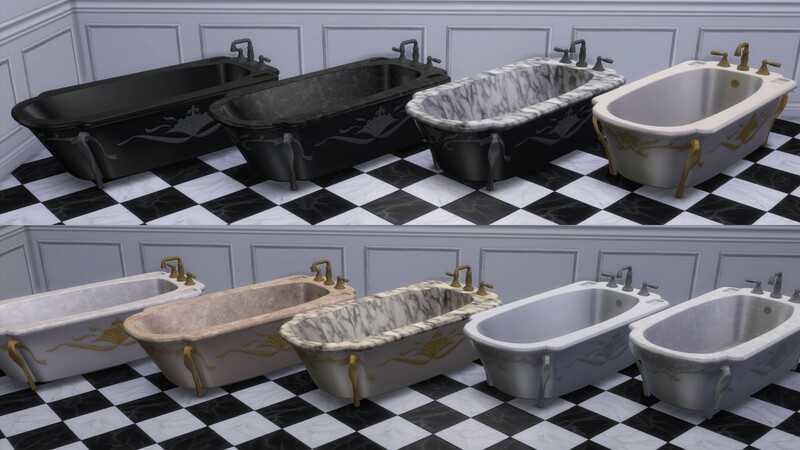 This is a baroque inspired style set that can be used in modern house too. 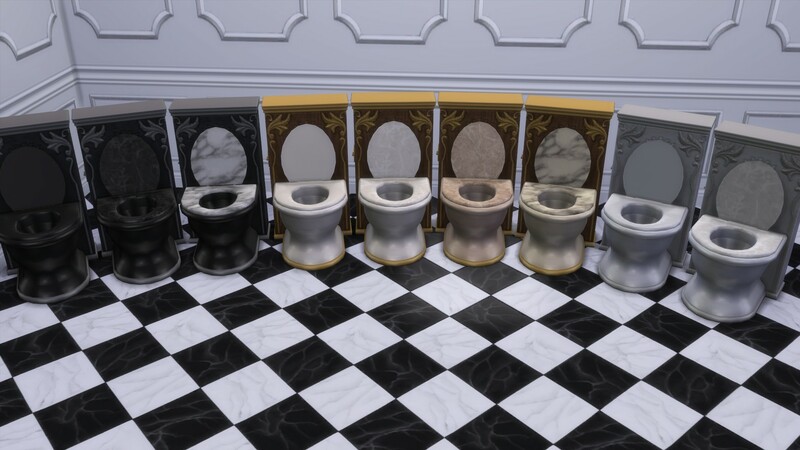 NB : the wall mirror used in the screenshots is from the TS3 Rococo Set I converted (http://www.modthesims.info/download.php?t=594949).